Website for user u2743 on 2lazy2boot. Second hand sale ads, free ads on car boot sale by pablo from United Kingdom - u2743. Welcome to pablo's online car boot sale website. Find here used items for sale of pablo from United Kingdom. 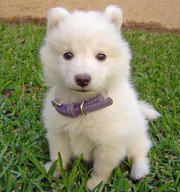 samoyed, Puppies. Gorgeous baby girls and boys. Excellent pedigree, KC registered, vet cheched, wormed. Puppy pack, 4 weeks free insurance with petplan. 1st injections. Absolutely beautiful. Good loving homes only. PUG, Puppies. Gorgeous baby girls and boys. Excellent pedigree, KC registered, vet cheched, wormed. Puppy pack, 4 weeks free insurance with petplan. 1st injections. Absolutely beautiful. Good loving homes only.. This website was created by pablo from United Kingdom using 2lazy2boot.co.uk online car boot sale system. You may want to go to 2lazy2boot.co.uk marketplace to find more sellers if you cannot find what you are looking for on website of pablo. Second hand sale ads, free ads on car boot sale by pablo from United Kingdom - u2743.